Speedball art products-mona Lisa pink soap. 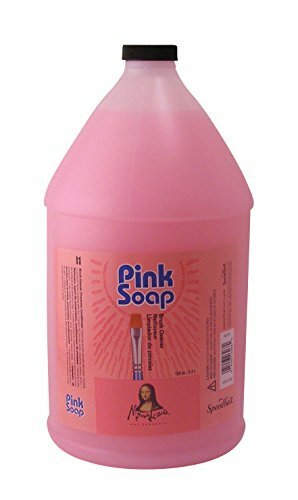 Pink soap is the ideal brush cleaner and is also effective for removing paint oil and grease stains from hands carpet clothing and furniture. This package contains one gallon of soap. Made in USA.